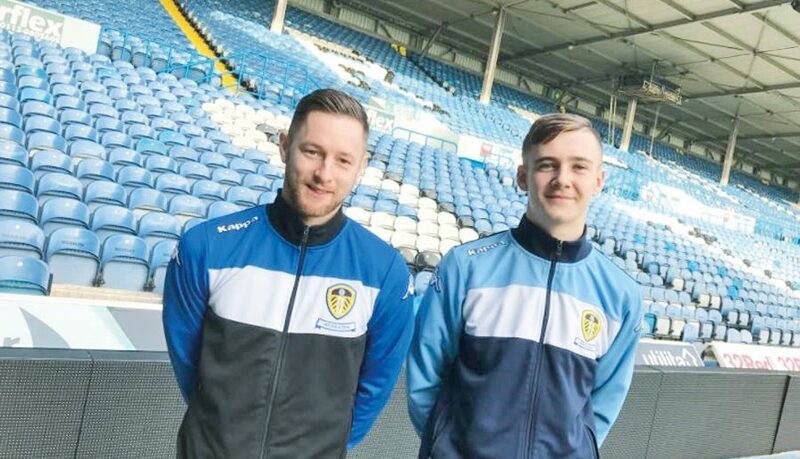 The Leeds United Foundation offer a successful Sports BTEC programme as part of their education strand and youngsters aged 16-17 are being encouraged to sign up to study during the 2018/19 season. The BTEC level courses are available to those who are near completion of their GCSE’s and offer a comprehensive programme of practical sport, theoretical study and opportunities for sports coaching and business management. The courses available include the BTEC Level One Diploma in Sport, BTEC Level Two Extended Certificate in Sport and the BTEC Level Three Extended Diploma in Sport and Physical Activity. After completion, students can then either progress on to the Foundation’s Degree course, other Further Education or pathways into sport. Kyle McGlenn, aged 16, is a first year student on the BTEC Sports course and since starting last September, has become a role model student who not only displays hard work, commitment and a positive attitude but has had several good results in his theory and practical work. Kyle said: “I am finding the course excellent. It’s smooth and easy going because the staff are great and they interact with you, which makes it more relaxed, fun and enjoyable. “The course is a lot different from what I expected because whilst it is hard and intense at times, you can work at your own pace and get things done. I also thought the training side was going to be more about fitness not football but really it’s more football related which makes you want to never miss a session. Kyle is one of the many of students on the course at the Foundation who has a chance to create a career in sport. The courses are open to 16 and 17 year olds and are currently recruiting for September 2018. To register your interest and find out about open days please e-mail annette.sheard@leedsunited.com with your name, date of birth, e-mail address and phone number along with your predicted grades.